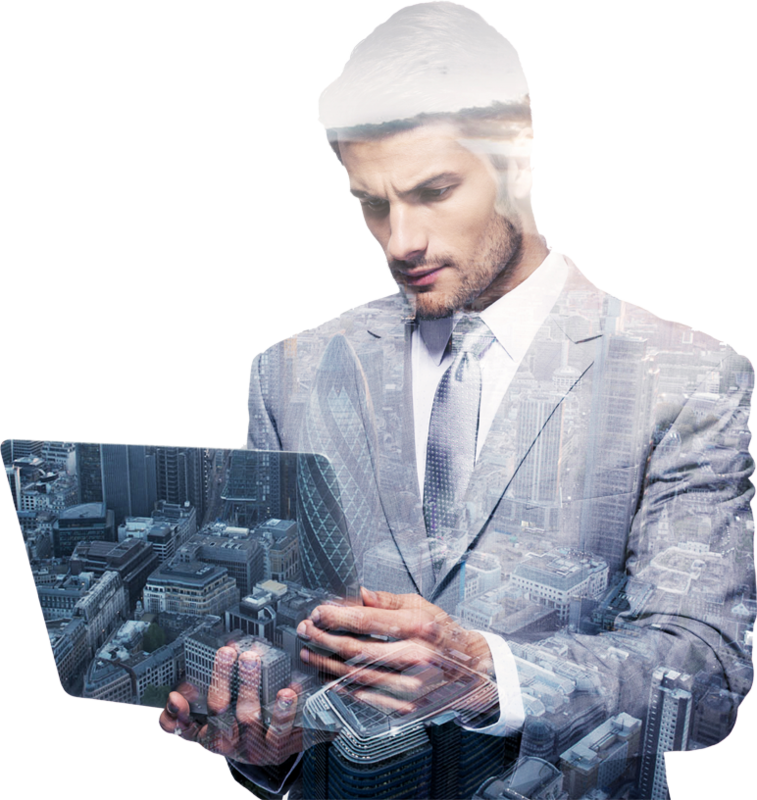 It is future ready web data extraction platform that converts data into business. 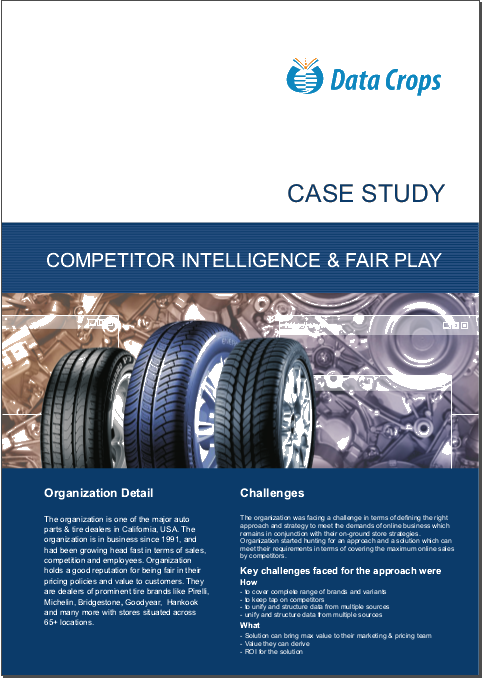 The in-built intelligence engine provides competitive advantage to organizations. It extracts your competitors pricing, transform it into your needed file format and provides you in required format automatedly without any human efforts. 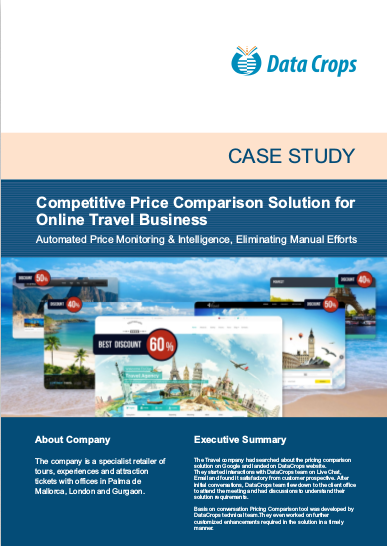 Track how your competitors are handling their products, enhance your product mix, take better assortment decisions and upsurge revenue through products. 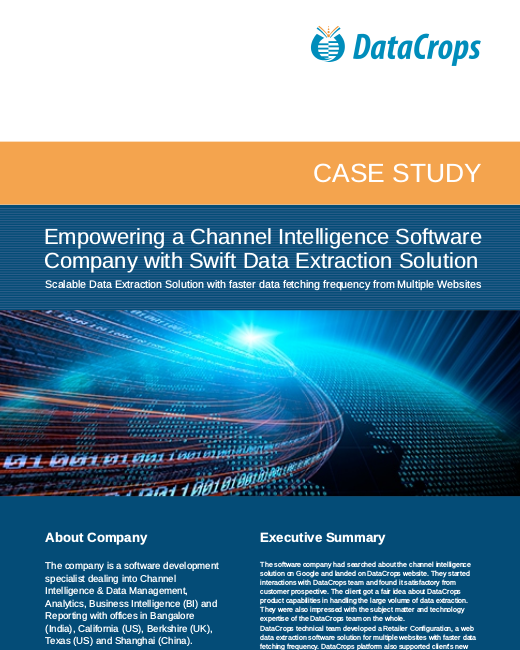 Get an insight into DataCrops unique data extraction and monitoring solutions that bring in innovation and tangible value to your business. Our solutions help organizations address their data challenges and enable them to beat competition. It assists in taking strategic and competitive business decisions through data collection, processing, getting analytical insights for any organization. It effectively builds market intelligence for the organizations, based on enormous data spread across web by enabling pricing, brand and channel intelligence. It assists in identifying, collecting, reporting and representing information from multiple data sources to assemble past, current and future business performance. It analyses structured and unstructured data from multiple sources to uncover hidden patterns, correlations, market trends and business information. DataCrops is a product of Aruhat Technologies which is an India based software company, incorporated in the year 2004, with a vision of providing technology for continuous business advancements and innovations. DataCrops is launched to assist enterprise customers with web data crawling to easily integrate software products and solutions with their business, which are either part of revenue booster or slice of core revenue generation. Why do I need DataCrops Solutions ? Web is the most powerful collection of data. However, unstructured web pages are not easily accessible, when you need data with precision at scale. DataCrops extracts and turns unstructured web pages into valuable data assets. How does DataCrops work ? DataCrops powers machine learning to generate effective web data extraction automatedly. It fetches information using a self-enhanced technology. It has scalable architecture and extracts data, transform and load it, when needed. How is DataCrops different than Web scraping ? Web scraping works for collecting a fixed set of data but is not sustainable and scalable solution for extracting big data. DataCrops is designed to extract data for business use when accuracy and scalability is required at low operating costs. Over 85% of companies upsurge their revenues by investing in our Web Data Collection, Data Intelligence and Web Data Mining tools. 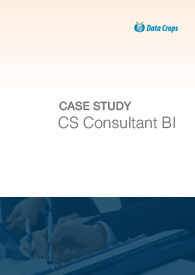 Satisfied Customers with our 12+ years of IT Solution Experience. Accurate Services with timely response, delivery and support. Transparency and Clarity in work with both new and repeat Customers. Our skilled resources are performance-driven and have right aptitude. We have been working with Aruhat and utilizing DataCrops for all of our marketing analysis needs for two years and counting. We have always been very confident with their Marketing Tools/Solutions as they are extremely customizable and easy to use. Our company is very picky when it comes to finding the right partner to provide us with data intelligence solutions, but we can say that we found Aruhat and DataCrops as perfect partner company and great product. Thank you for all the help!" The DataCrops Technical Team is always there when you need them. What makes Aruhat and the DataCrops Team stand out from the rest is the fact that they are well organized, from our assigned Account Manager to our assigned Tech Team. How E-commerce Companies can Succeed using Product Data Extraction Software?